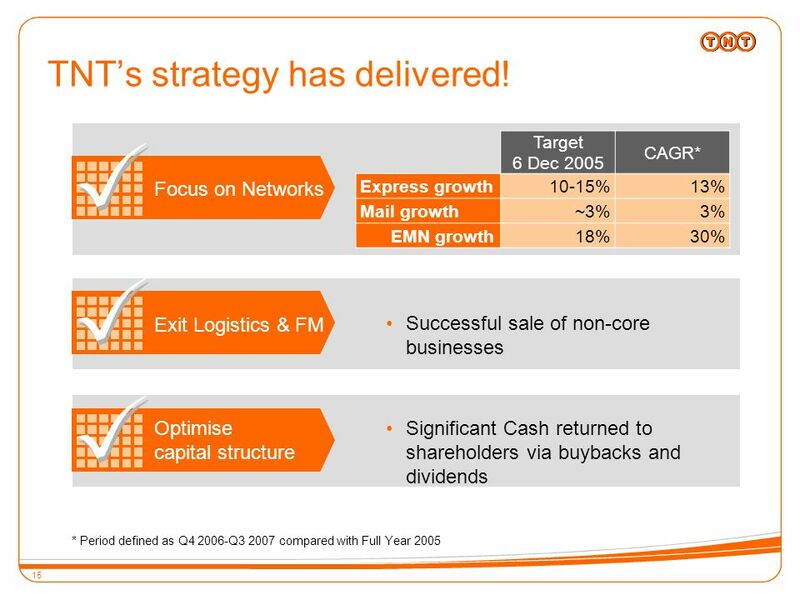 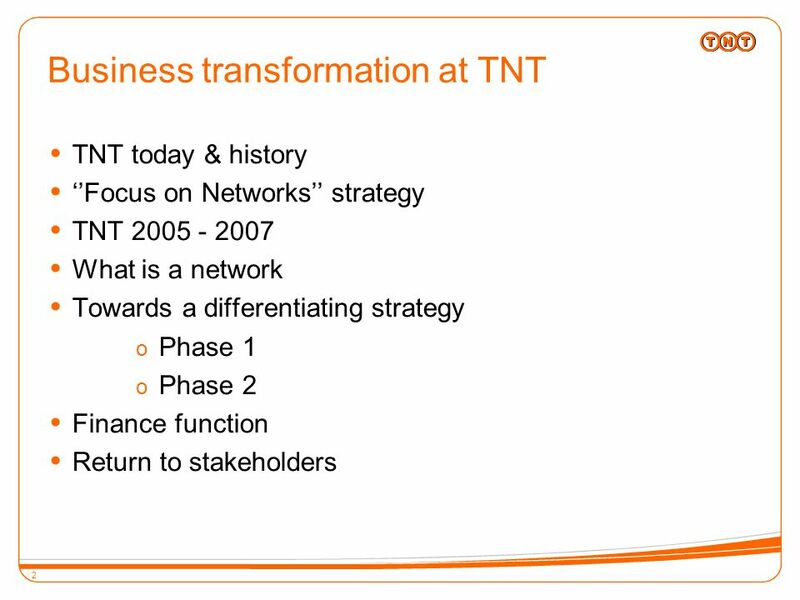 Business transformation at TNT Henk van Dalen, CFO 12 December 2007. 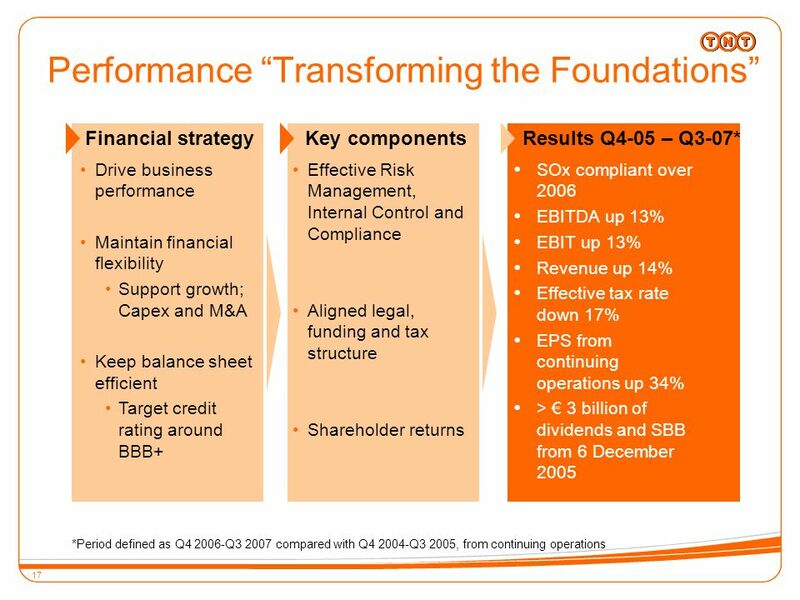 51 51 Warning about forward looking statements Some statements in this presentation are “forward-looking statements”. 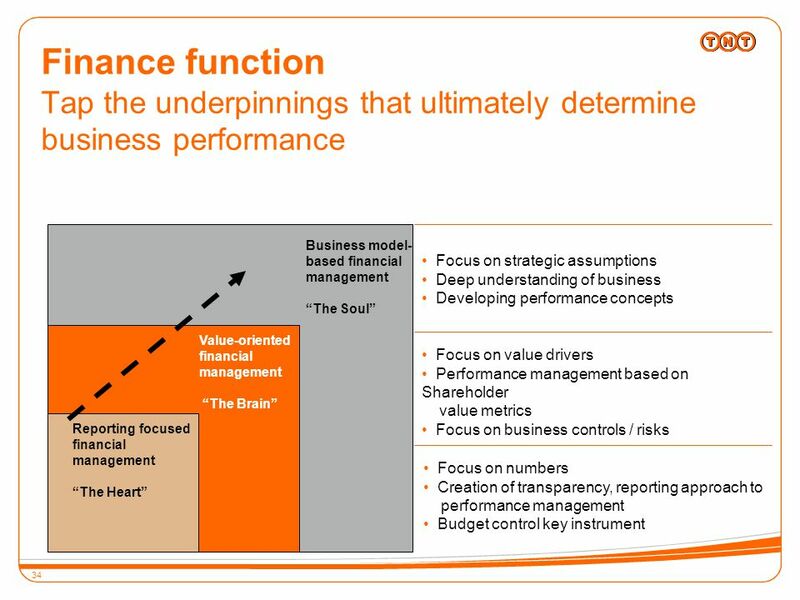 By their nature, forward-looking statements involve risk and uncertainty because they relate to events that depend on circumstances that will occur in the future. 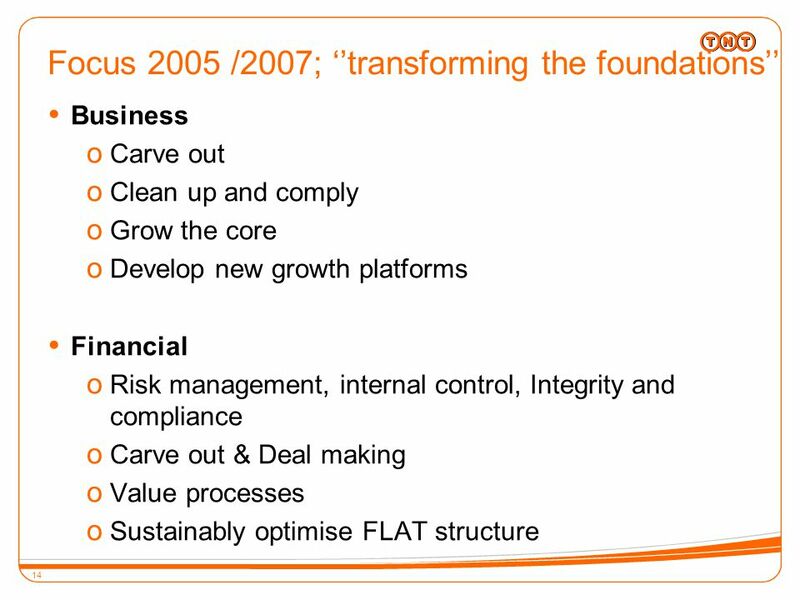 These forward-looking statements are based on current expectations, estimates, forecasts, analyses and projections about the industries in which we operate and management’s beliefs and assumptions about future events. 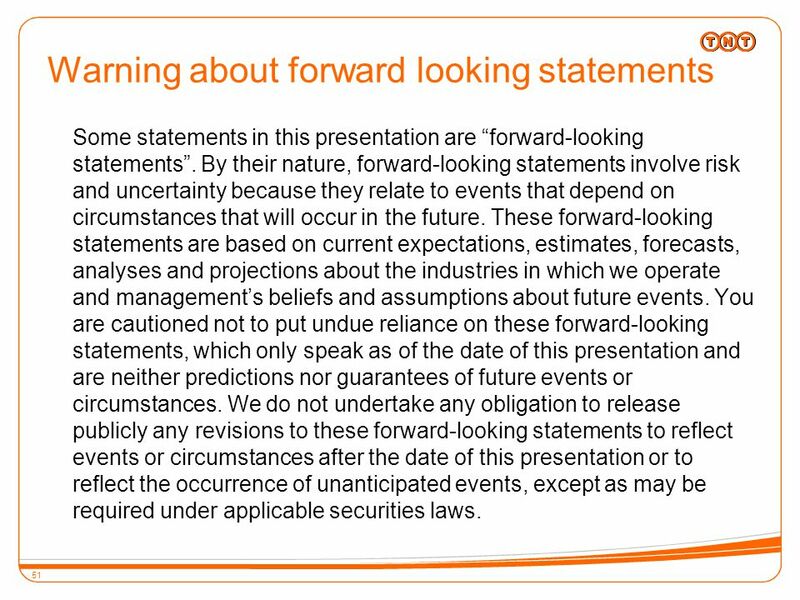 You are cautioned not to put undue reliance on these forward-looking statements, which only speak as of the date of this presentation and are neither predictions nor guarantees of future events or circumstances. 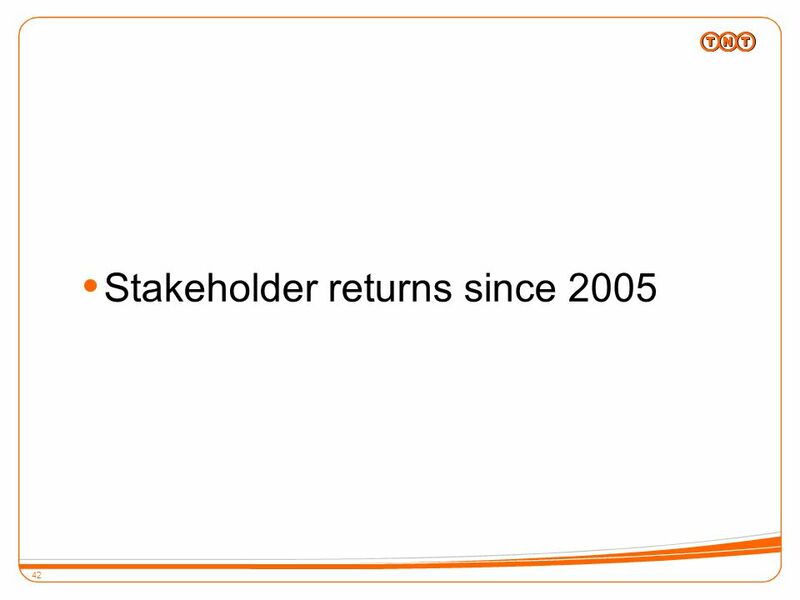 We do not undertake any obligation to release publicly any revisions to these forward-looking statements to reflect events or circumstances after the date of this presentation or to reflect the occurrence of unanticipated events, except as may be required under applicable securities laws. 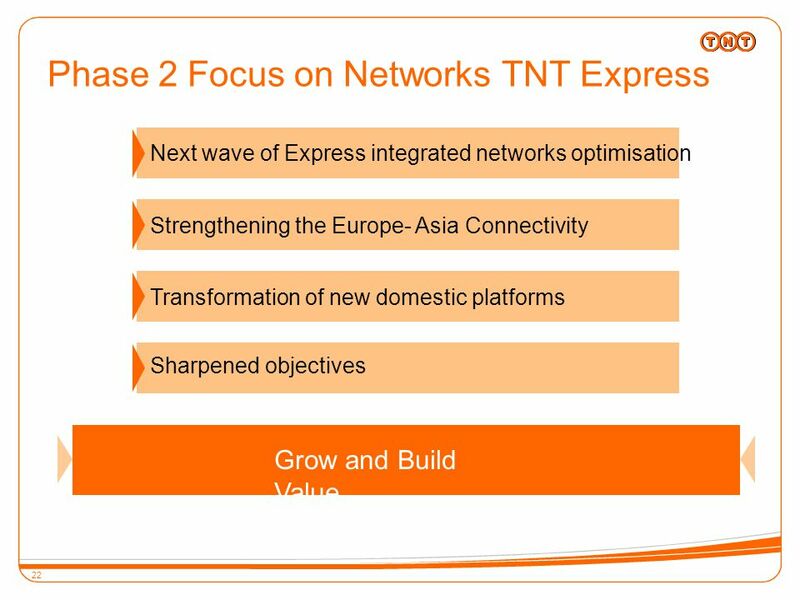 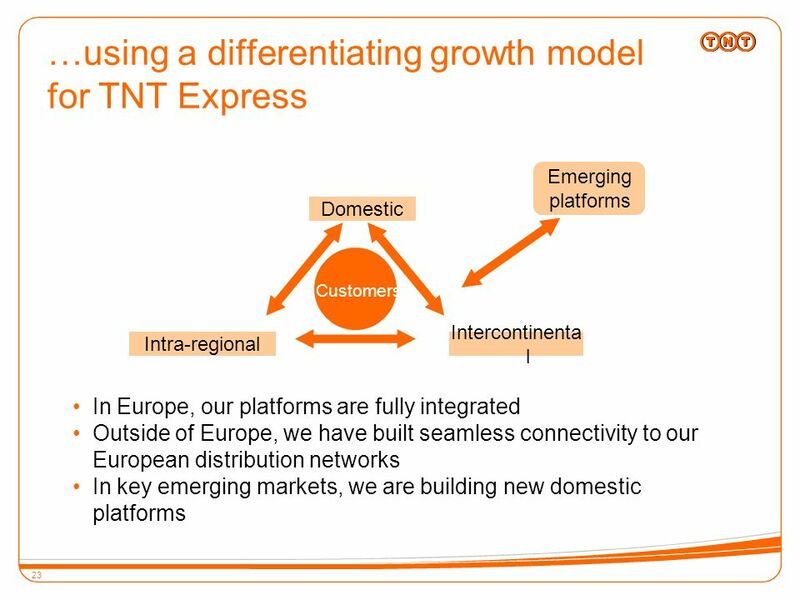 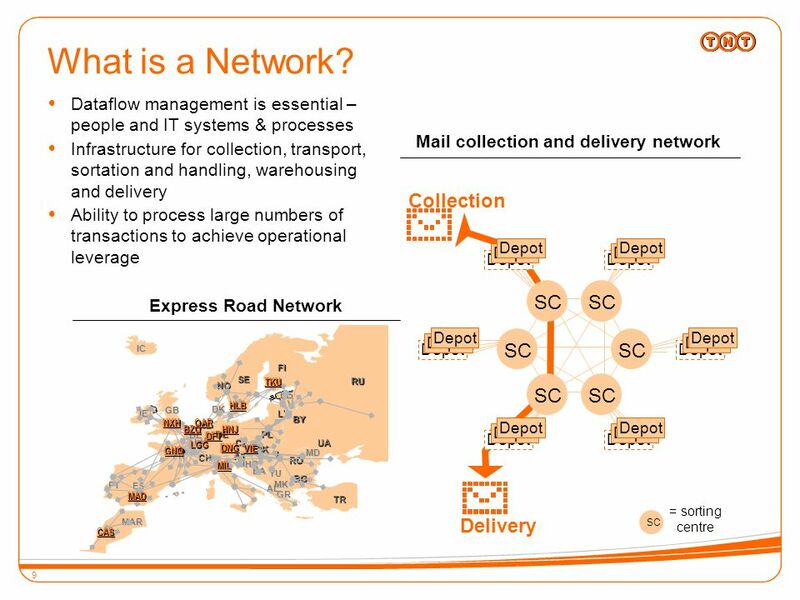 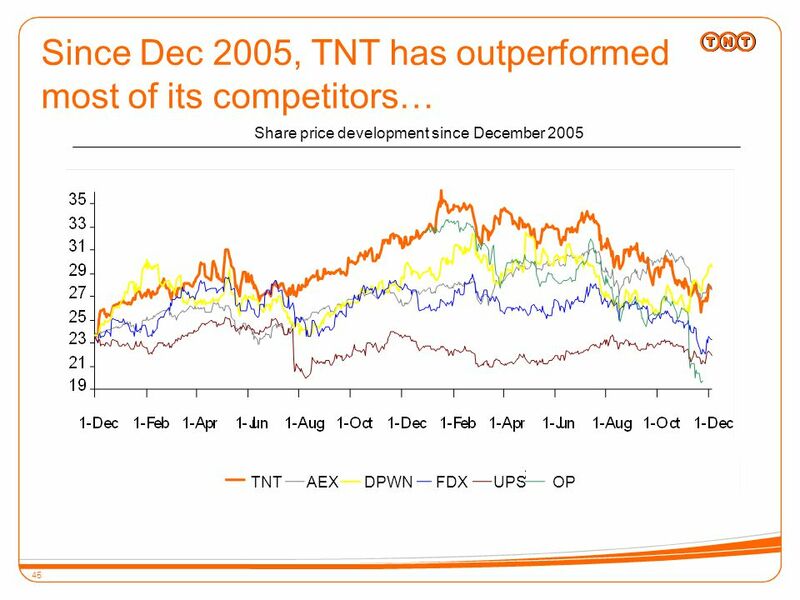 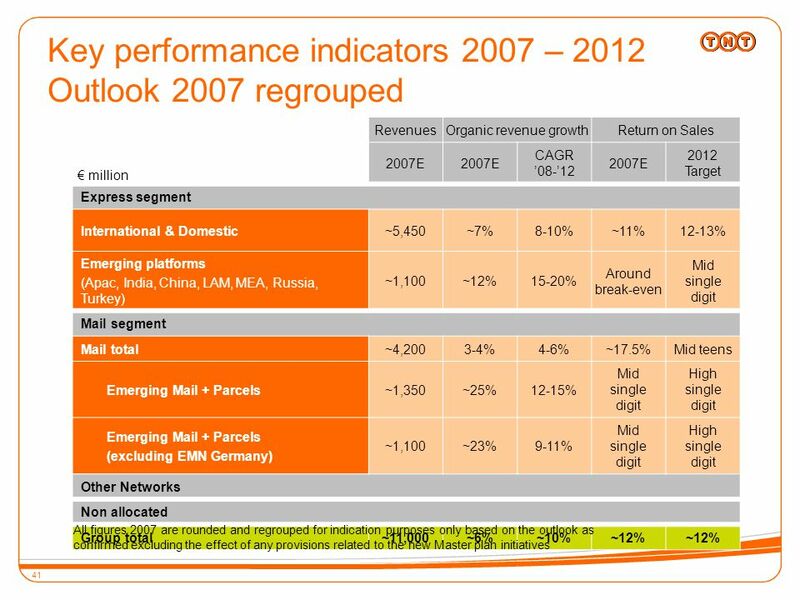 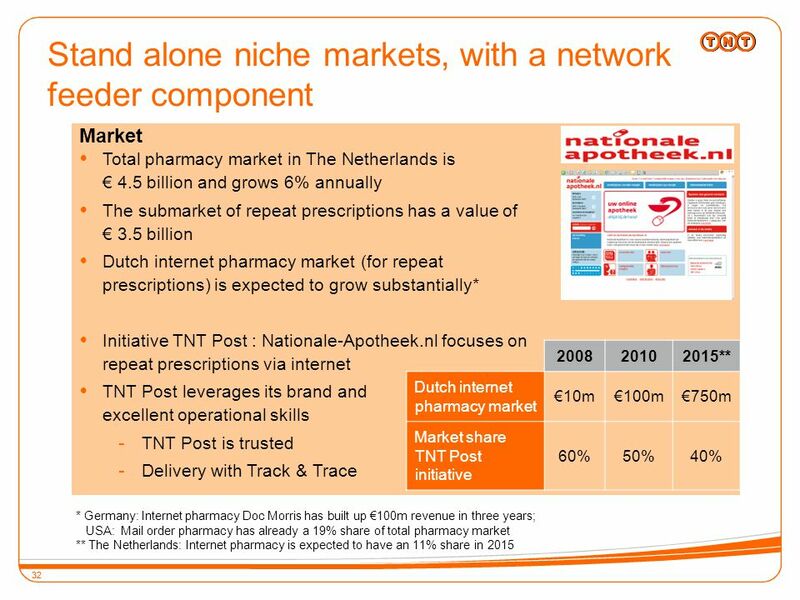 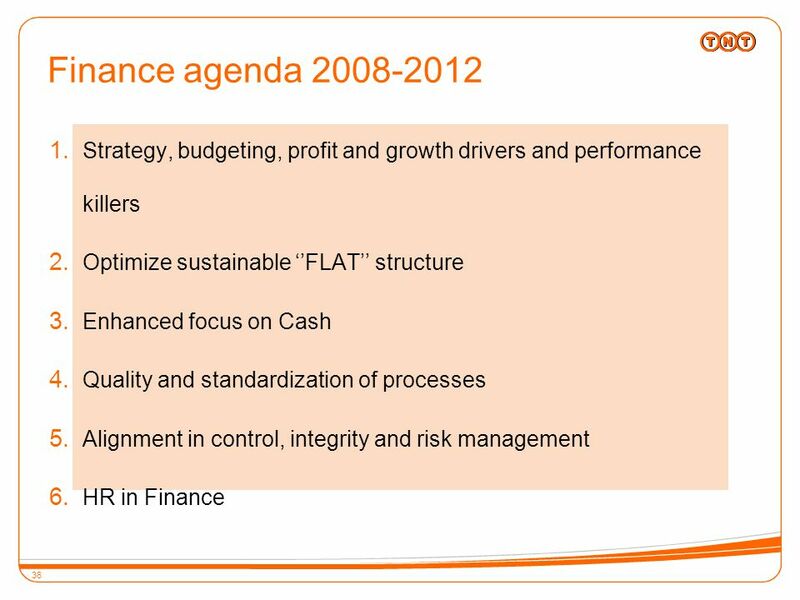 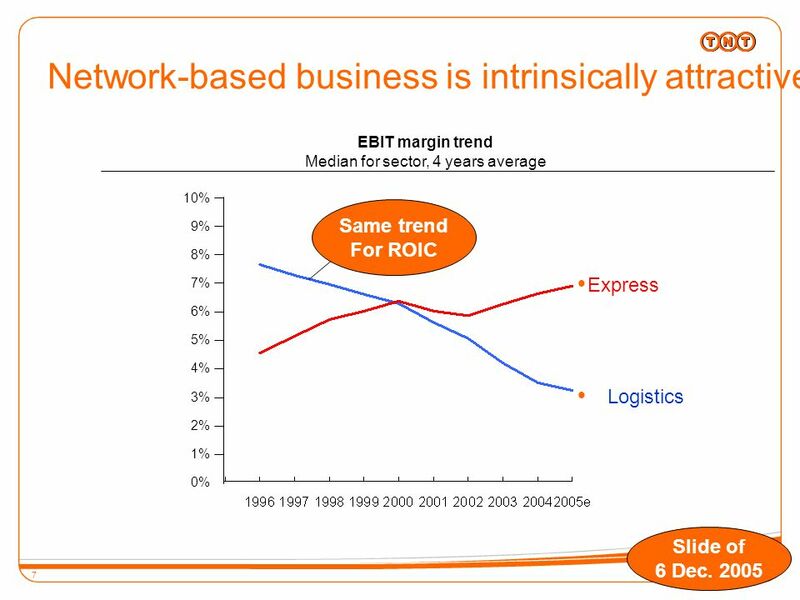 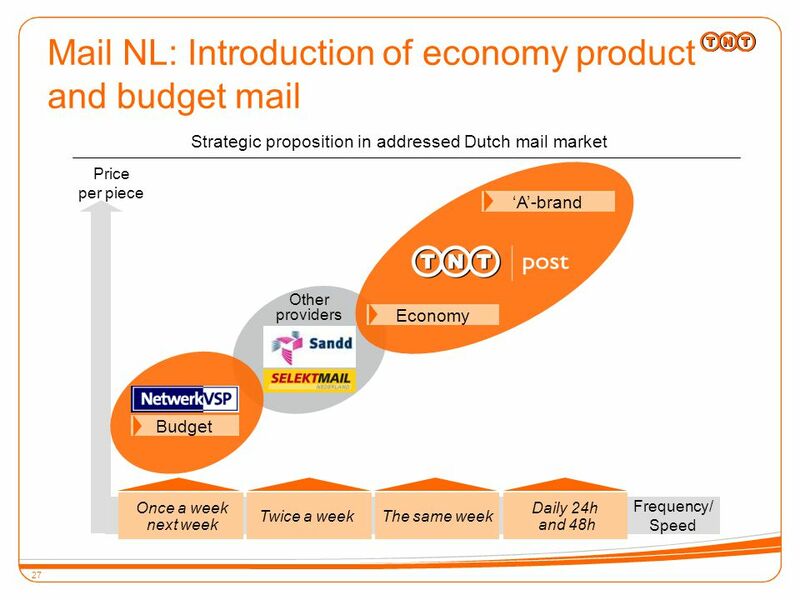 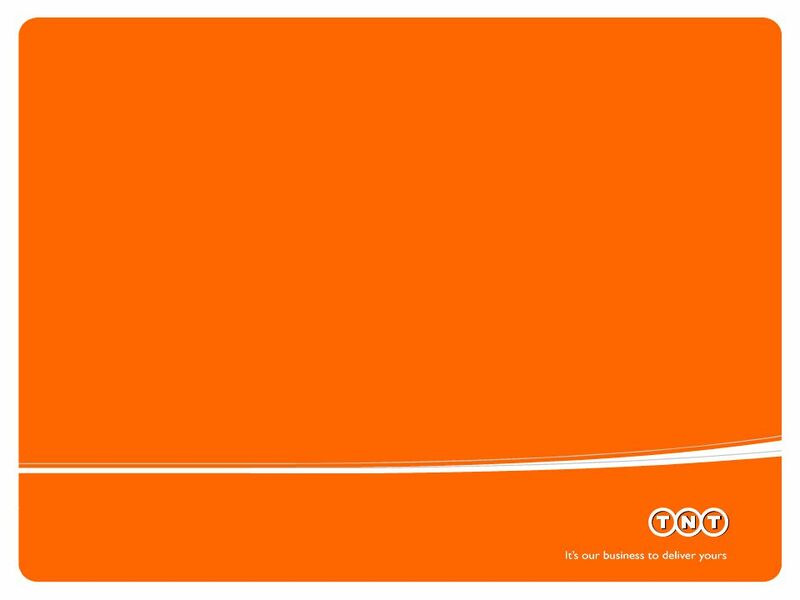 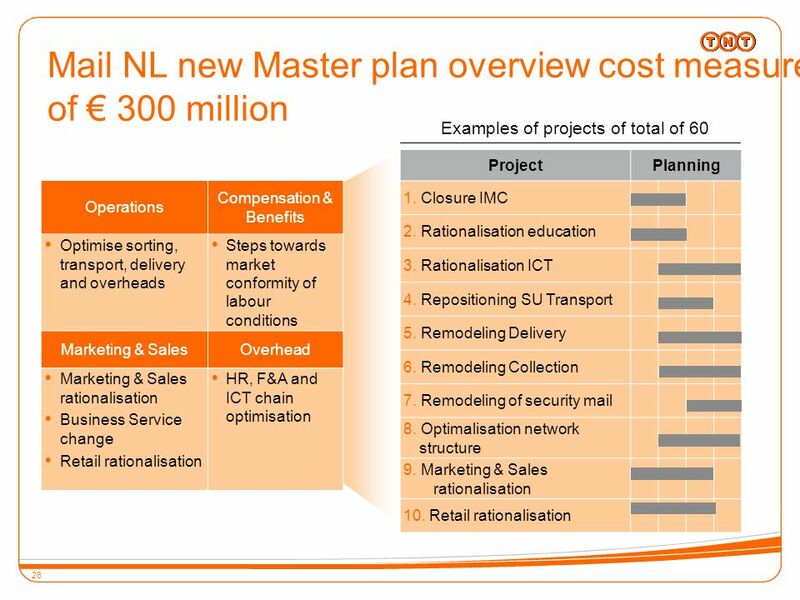 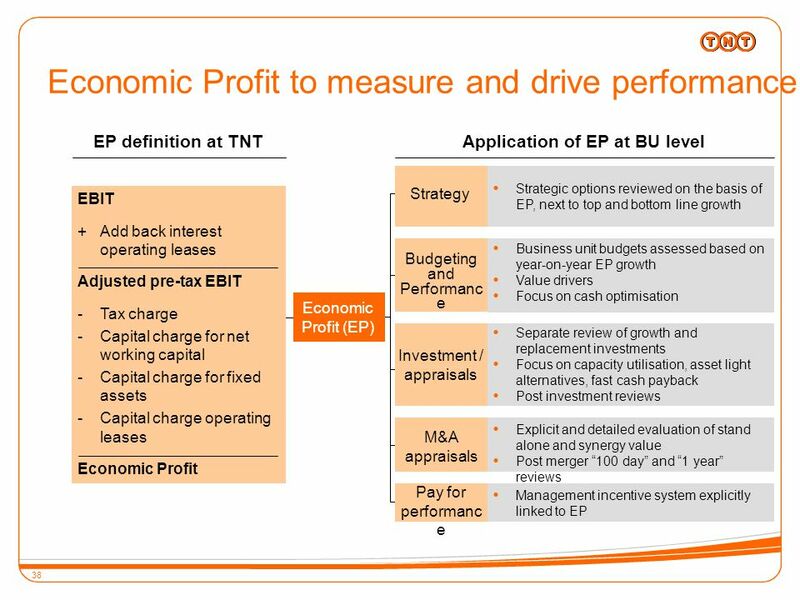 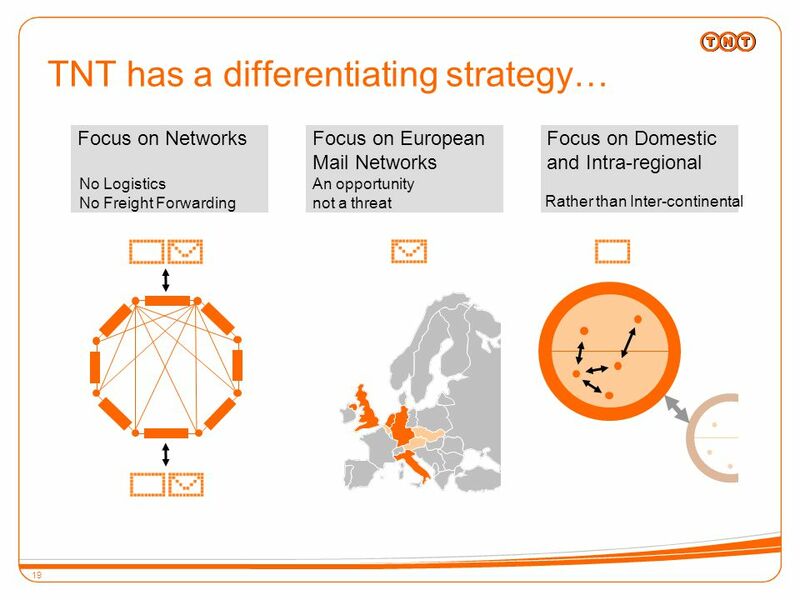 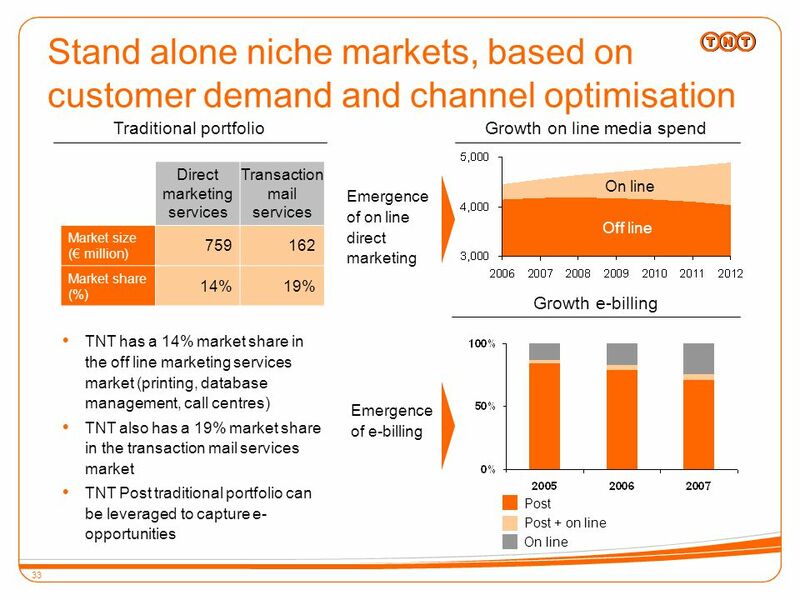 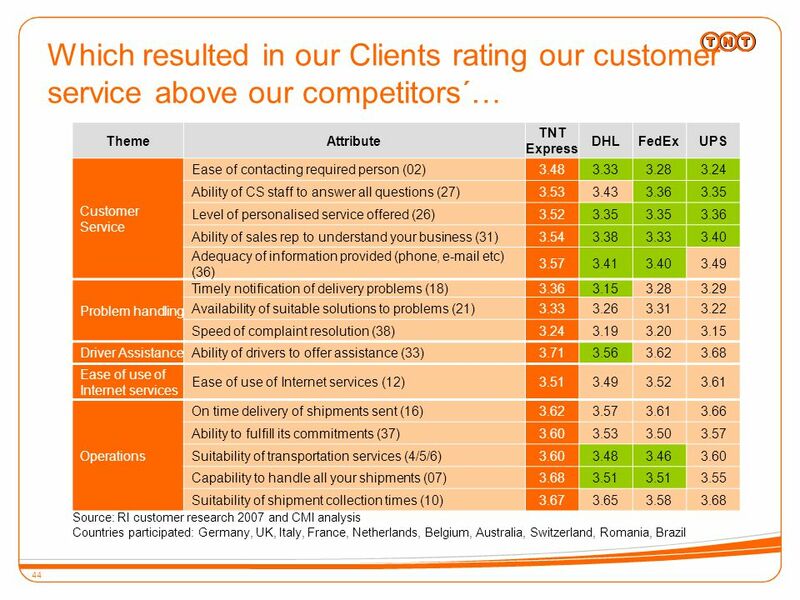 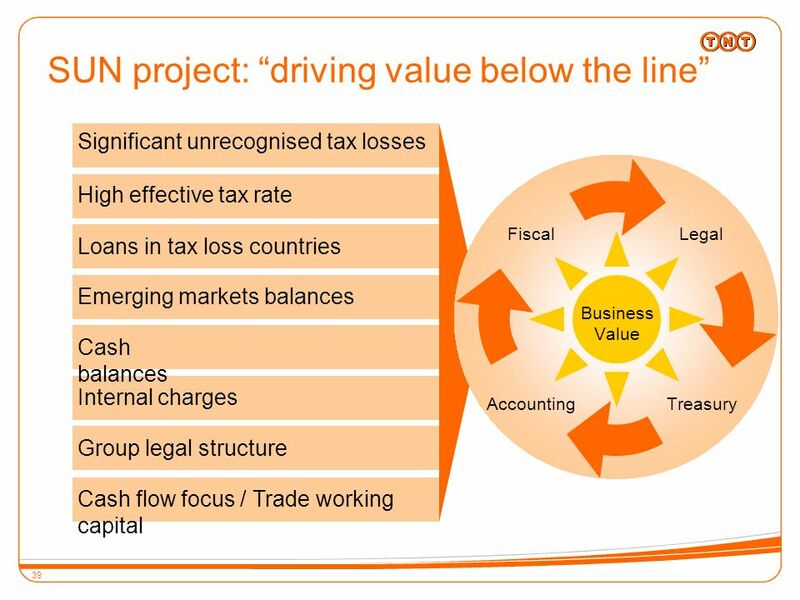 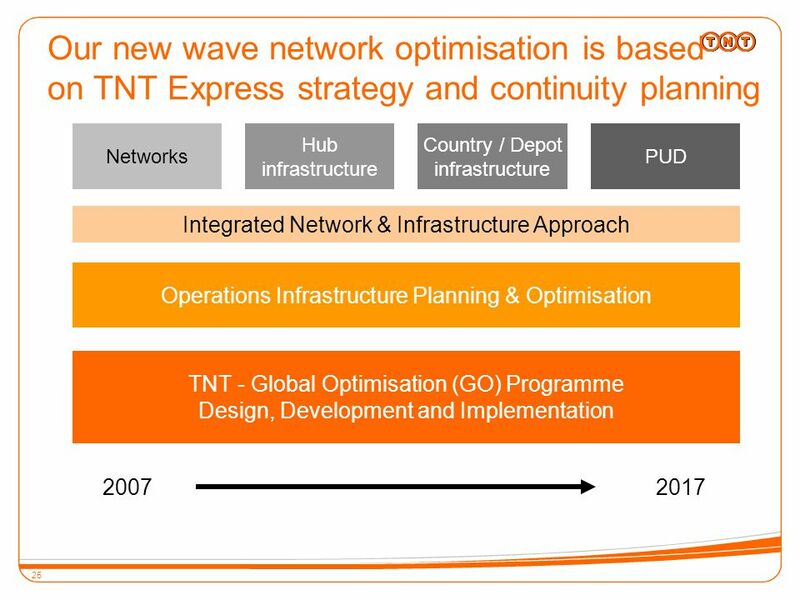 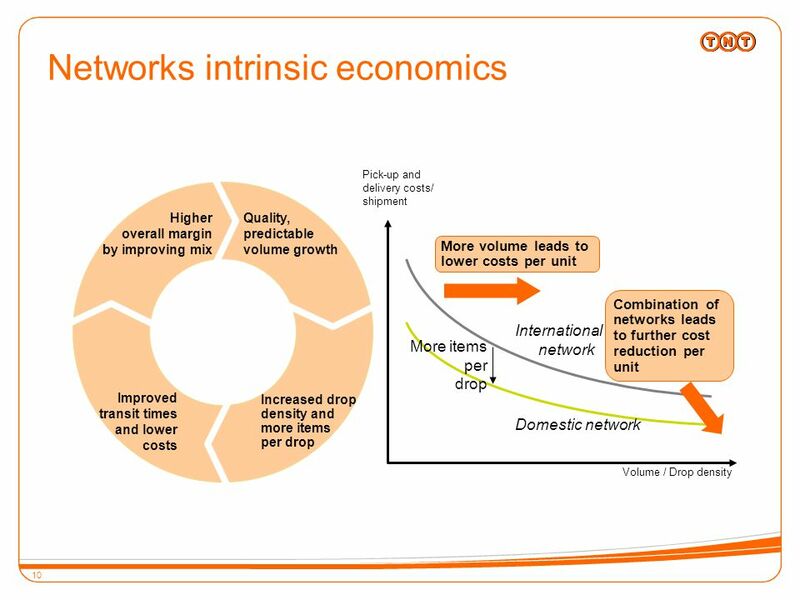 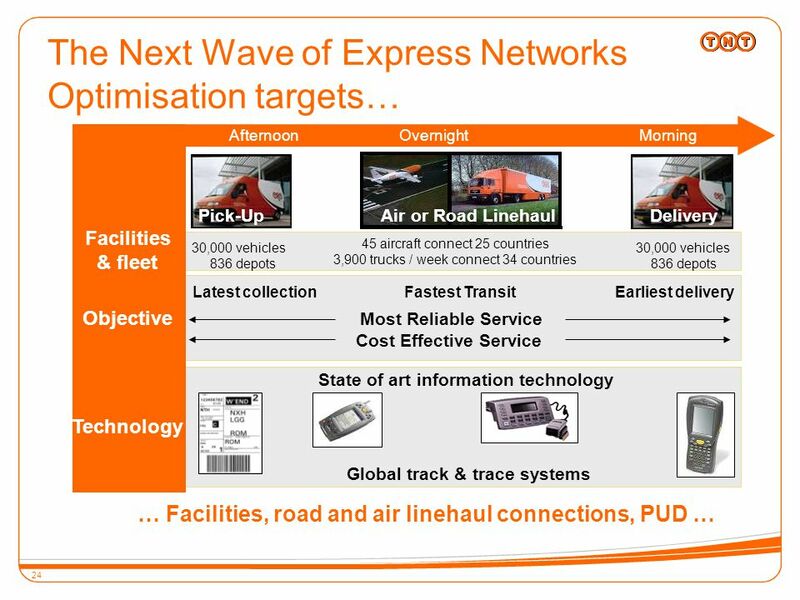 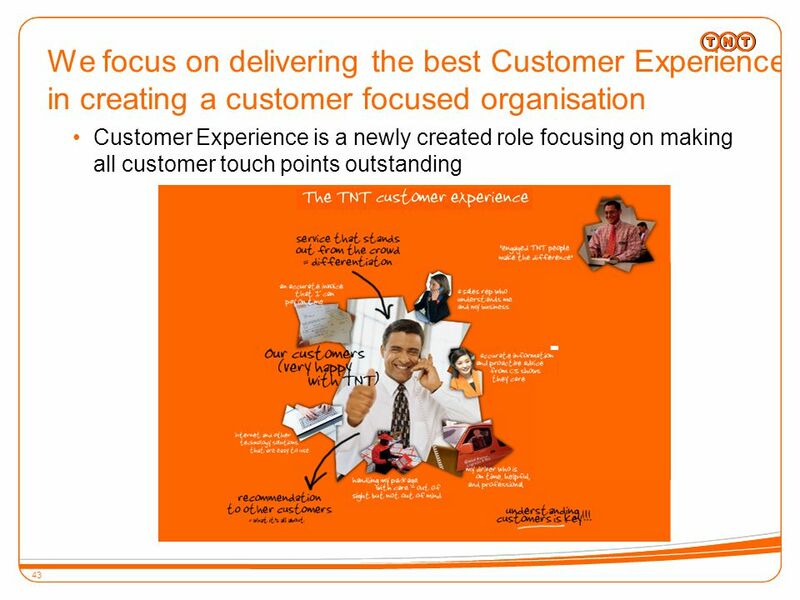 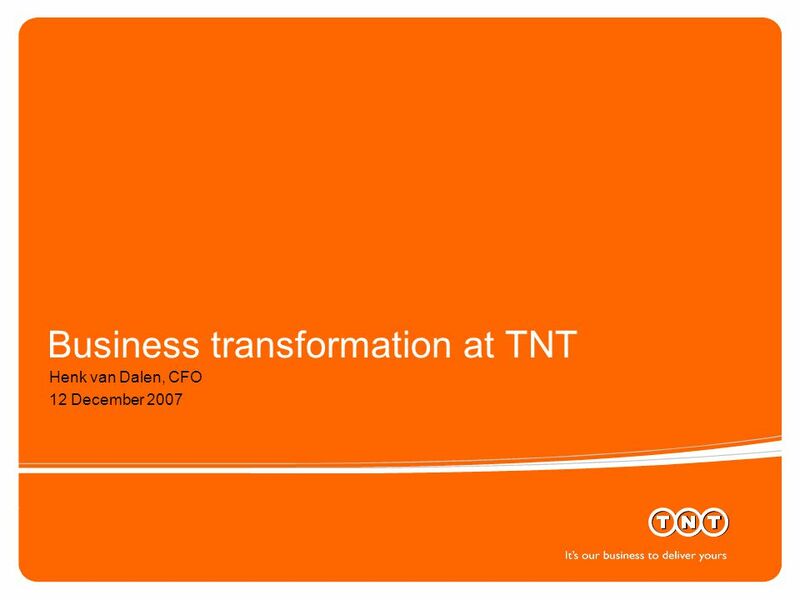 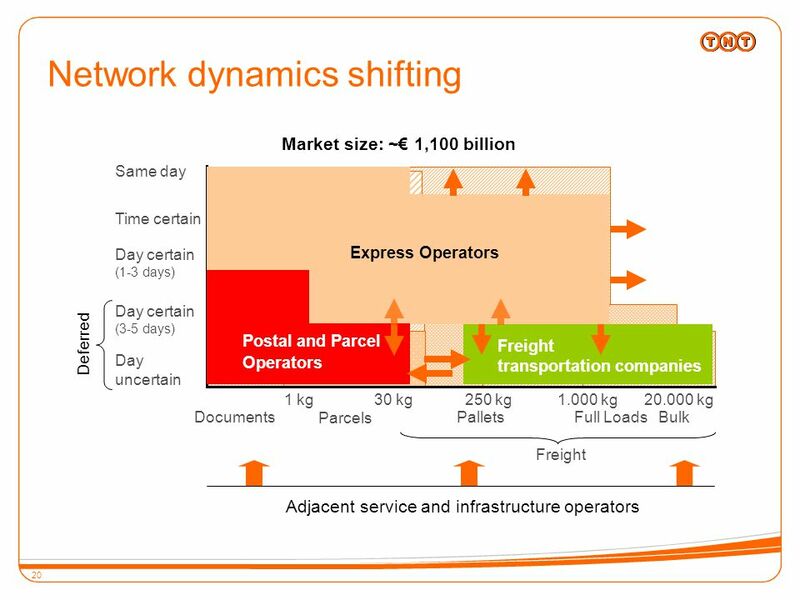 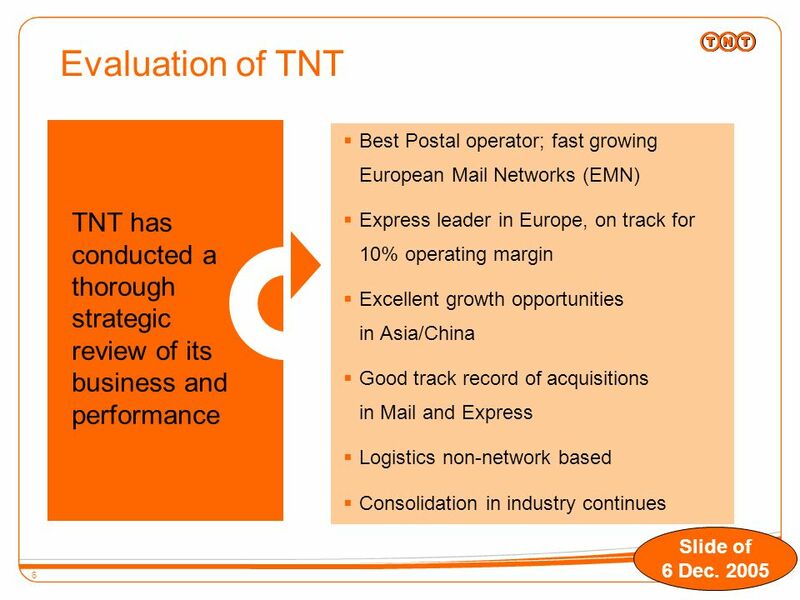 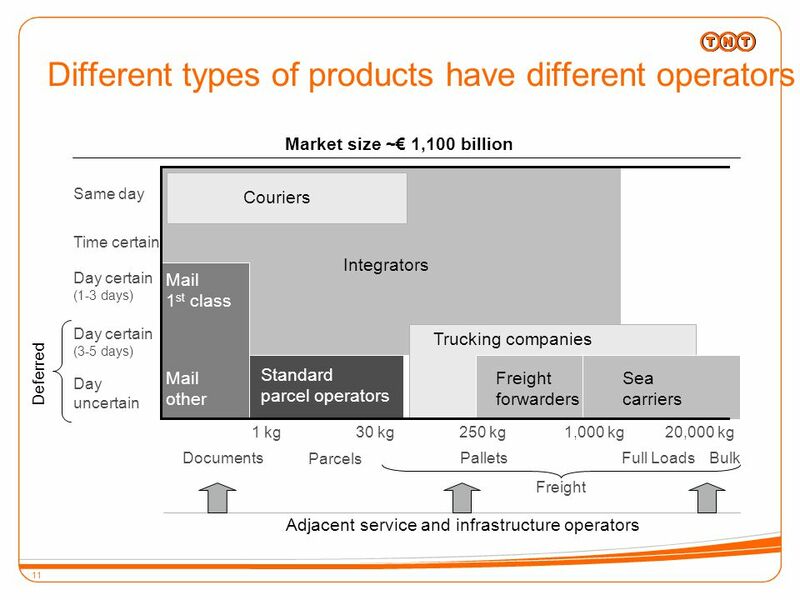 Download ppt "Business transformation at TNT Henk van Dalen, CFO 12 December 2007." 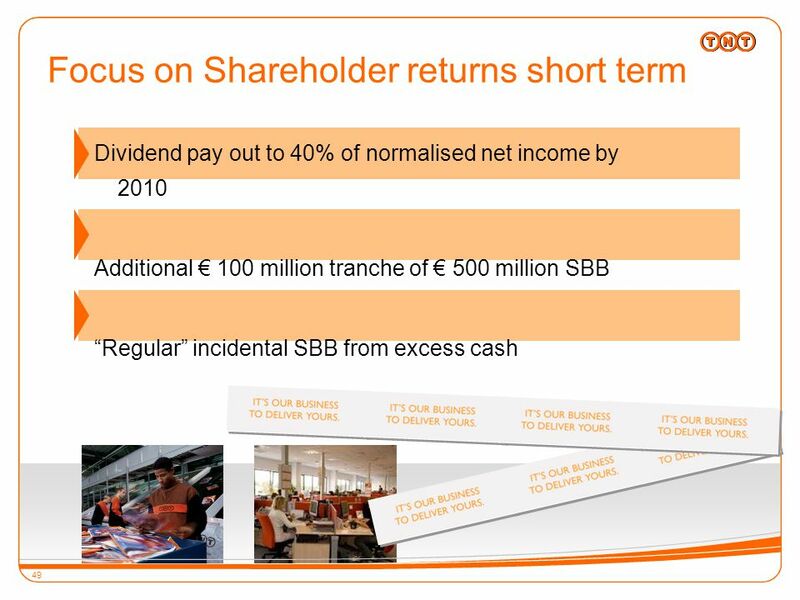 2 1 Financial results for H Zagreb July, 2014. 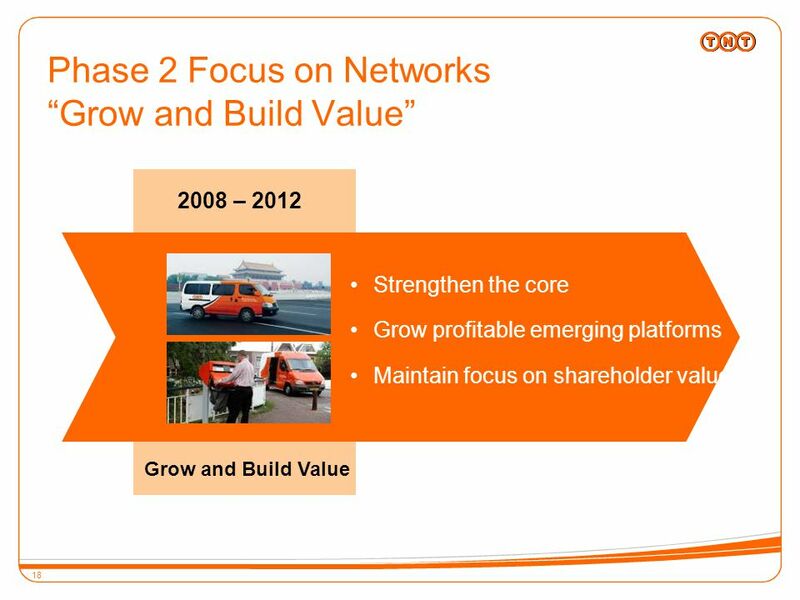 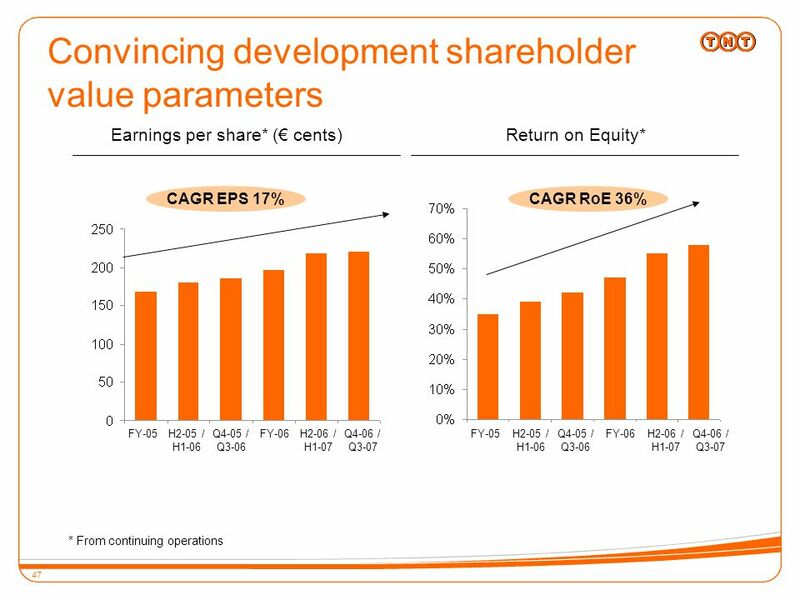 Shareholders Presentation 17 May Highlights in 2012 Speedy achieved high revenue and profitability growth in a challenging market environment The. 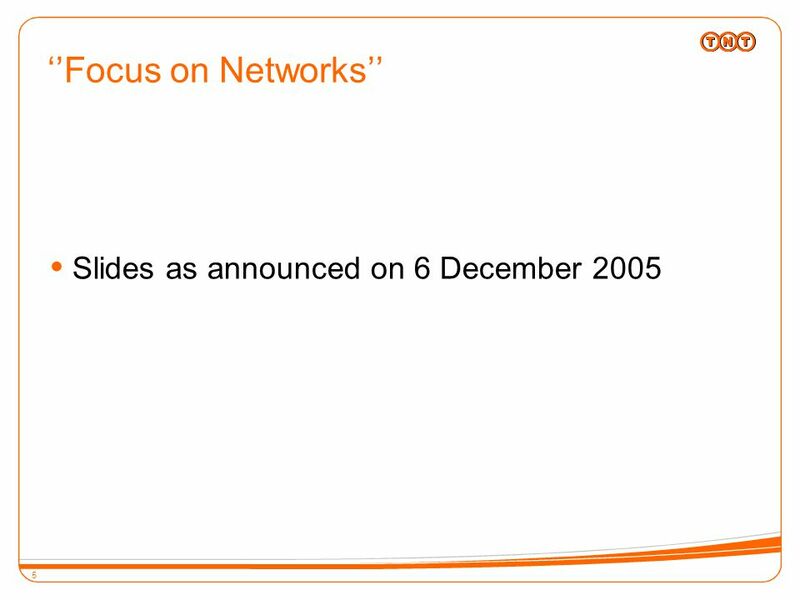 Roger Urwin, Chief Executive Officer National Grid Group plc EEI Conference 18 February 2002. 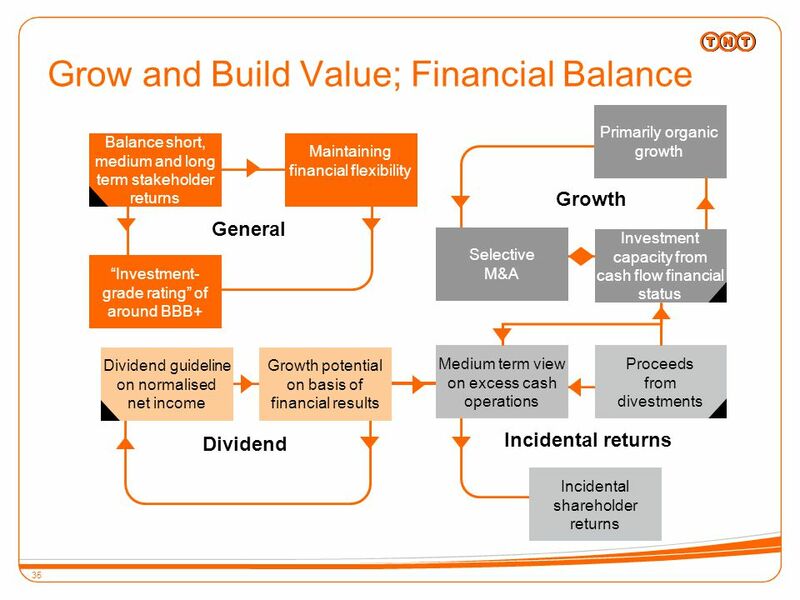 Fisher Funds Annual Roadshow August Presentation  Introduction to Freightways  Industry, business description and strategy  Financial performance. 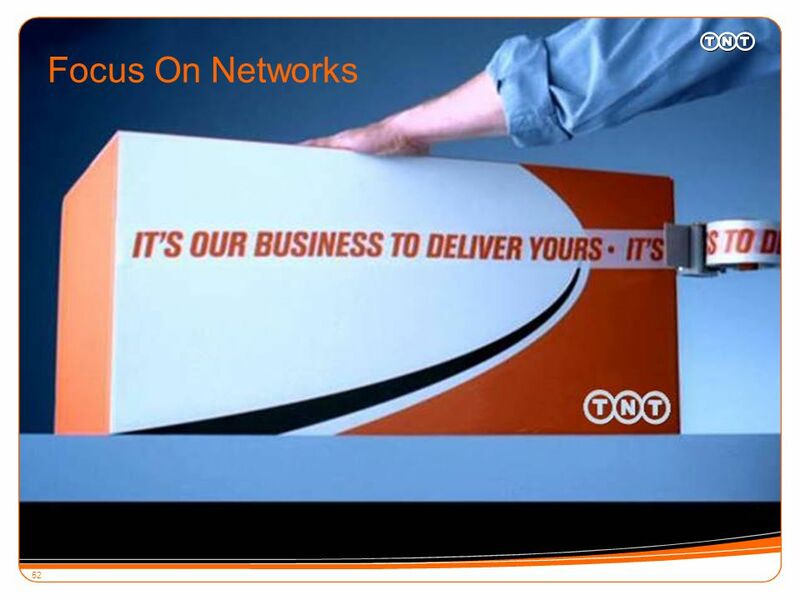 By: Mandy Martin United Parcel Service. 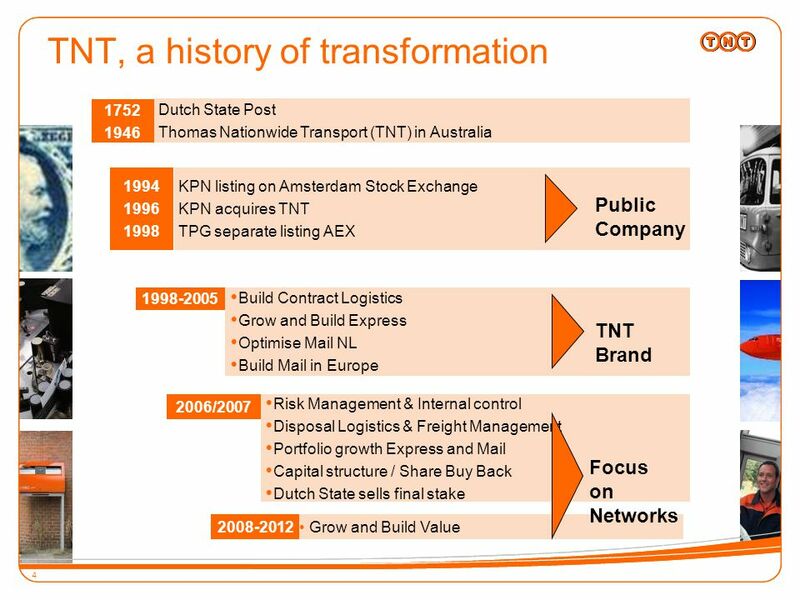 History 1907 founded by James E. Casey in Seattle, Washington 1930 expanded to east coast 1977 UPS starts providing. 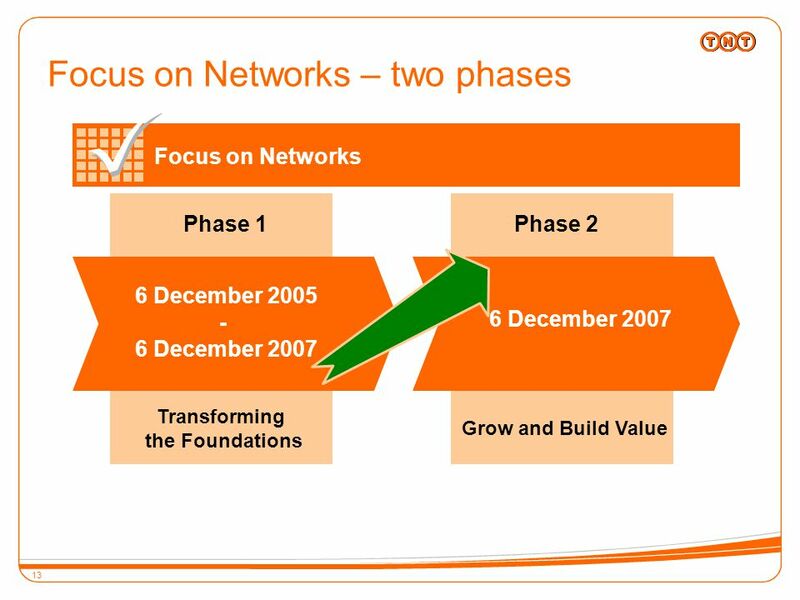 1 SAI Global Limited ABN: Half-Year Results Presentation Half-Year Ended 31 December 2006 ASX Code: SAI APPLIED INFORMATION SERVICES “SAI. 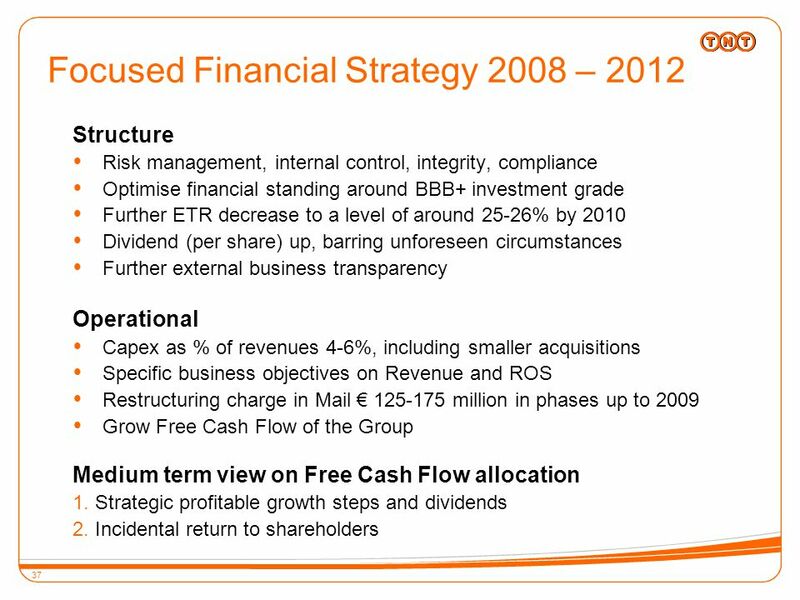 WILDERNESS HOLDINGS – AUDITED YEAR END RESULTS 2010 INTERIM RESULTS ANNOUNCEMENT Six months ended 31 August 2012. 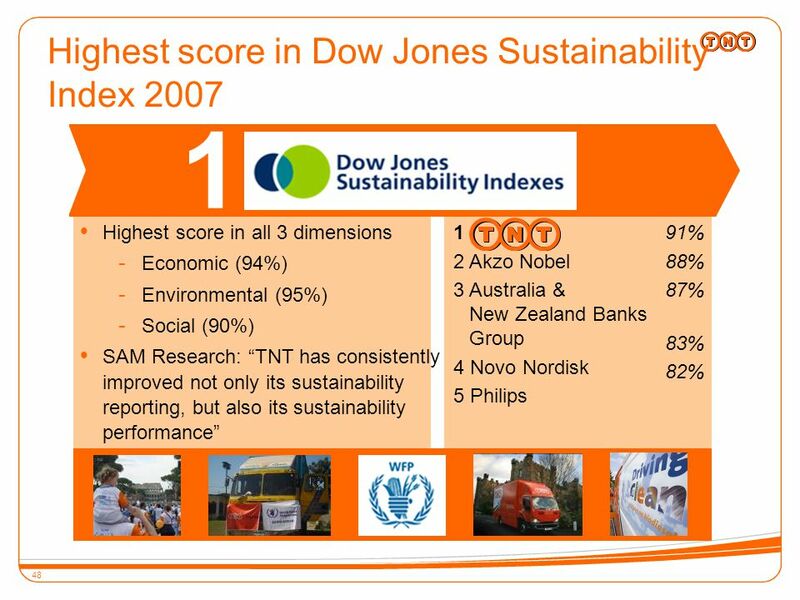 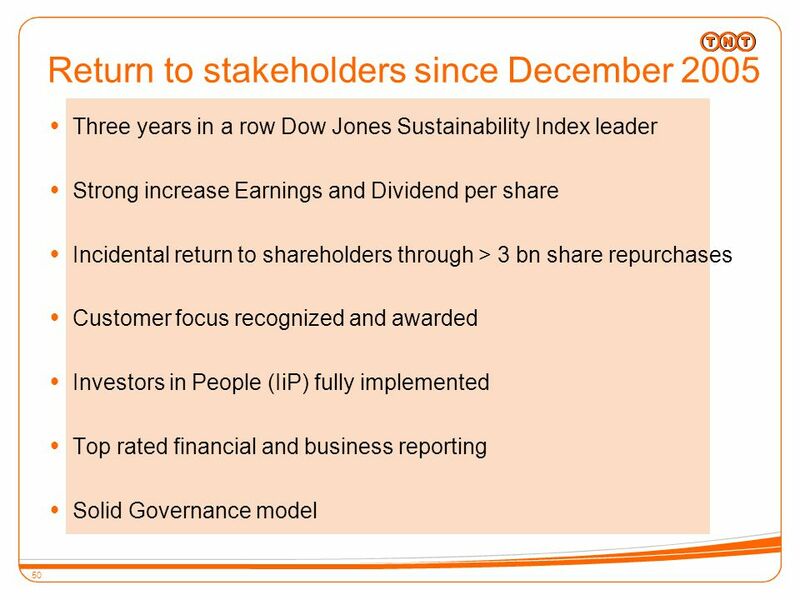 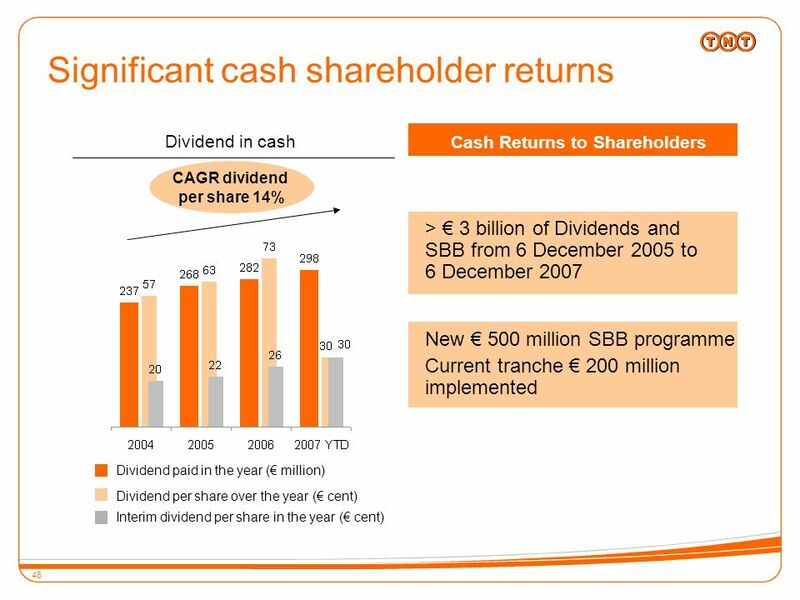 Results third quarter 2007 Harrie Noy, CEO Conference call, November 15, :00 hrs CET. 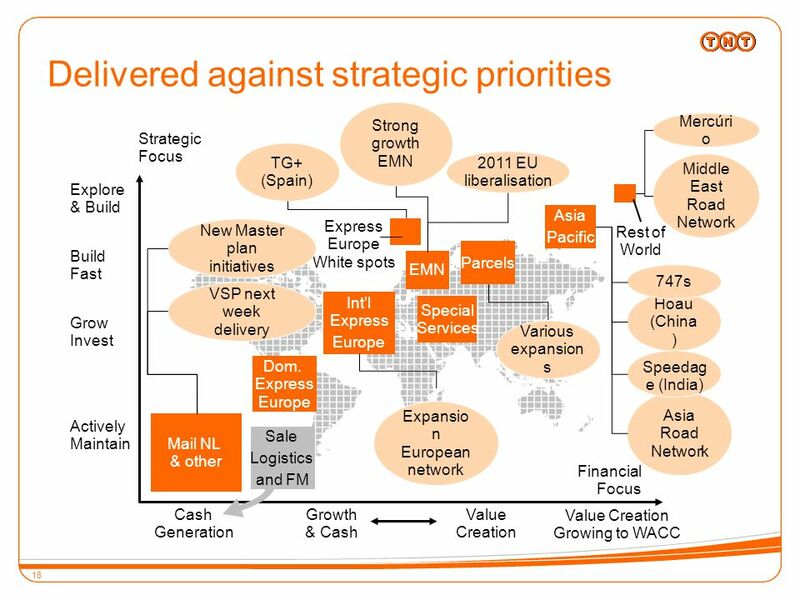 Kodak Inc. Yang Wang ACG Executive Summary Eastman Kodak Company ranks as a premier multinational corporation, with a brand recognized in virtually. 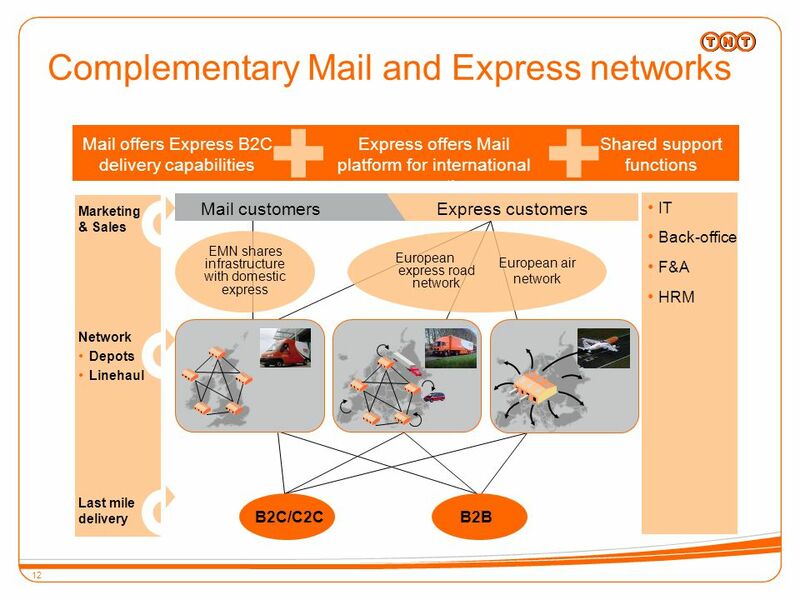 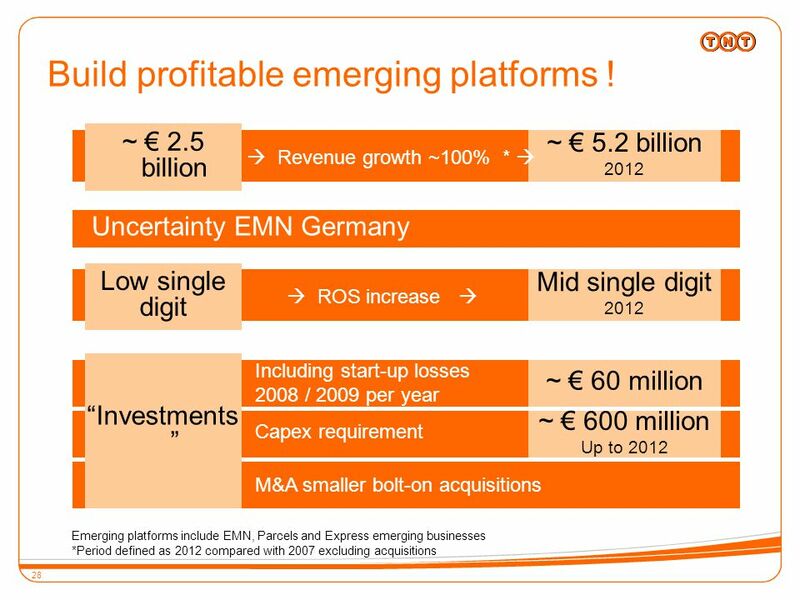 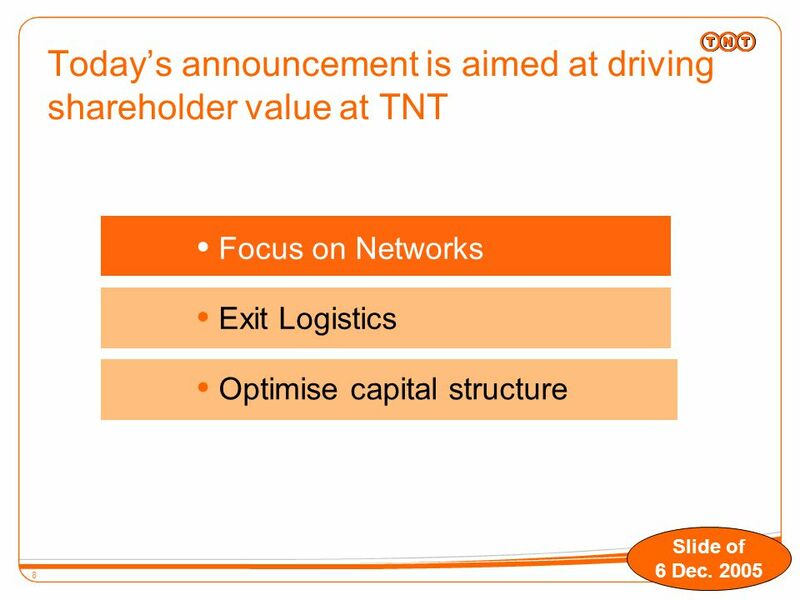 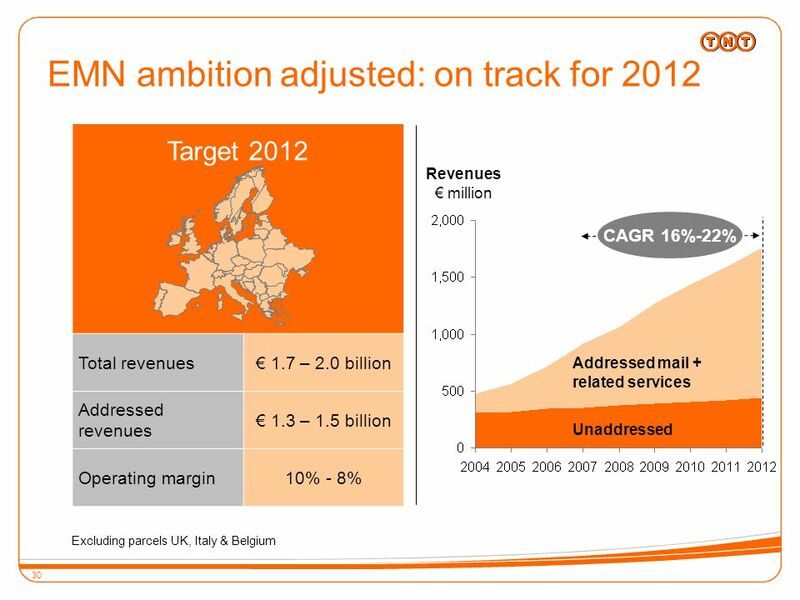 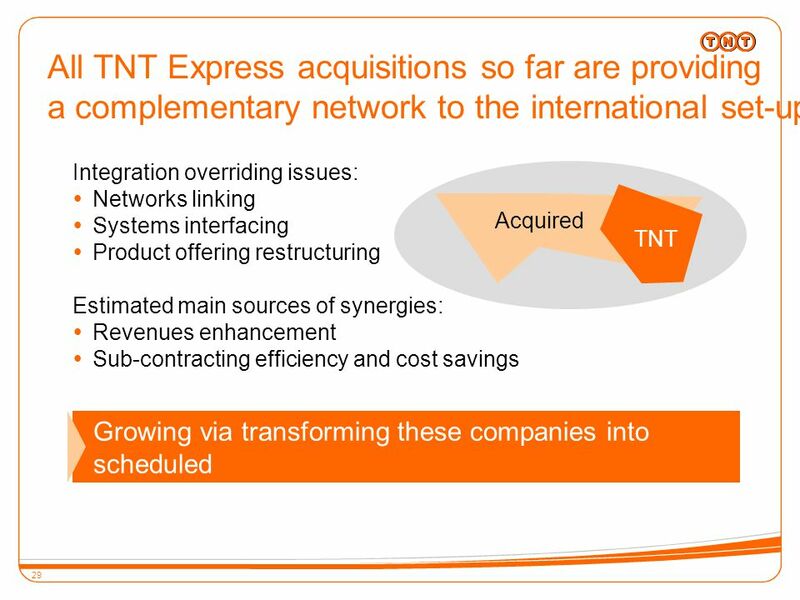 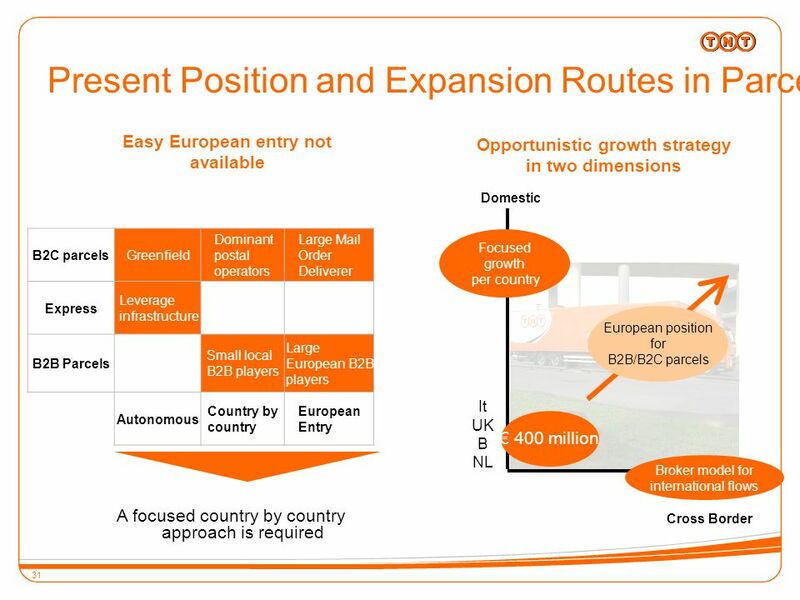 Acquisition of NetBenefit (UK) Limited Analyst Conference Call June 6, 2012.